GREAT NEWS! 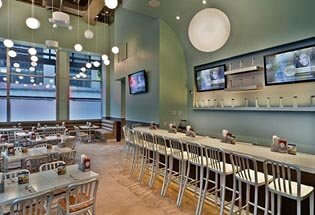 Chevy's is now Patrick's NYC. For event details, availability, and to purchase tickets, visit Patrick's NYC New Years Party. Chevy's NYC is located in the heart of Manhattan's fabulous Times Square, just feet away from the epic Times Square NYE ball drop. 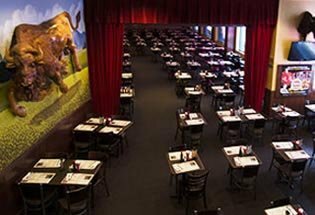 Located on 42nd Street between 7th and 8th Avenues smack dab in the middle of all the action, Chevy's offers an authentically Mexican casual dining experience perfect for families, couples, or singles. All are welcome at this Cantina-style Mexican fiesta. A veritable "Real Mex" restaurant, Chevys' dishes are prepared daily from scratch with only the finest, freshest ingredients. Not only is Chevys' cuisine a delight to the palate, the restaurant's energetic, festive atmosphere is an equal delight. While dining, you will enjoy the sounds of vibrant, authentic Latin music. Get your Latin groove on while surrounded in contemporary Mexican decor! If you didn't know better, while seated in the heart of Chevy's Times Square, you could very well be hanging out in a cafe on the Mexican border. It's just that real. If that isn't authentic, we sure don't know what is! 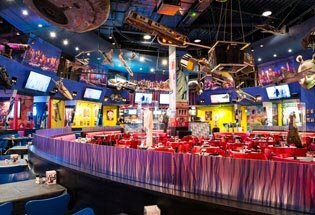 With celebratory music, deliciously fresh cuisine and an atmosphere fun for all walks of life, Chevy's is the Mexican destination in Times Square. What could be better than a Mexican New Year's celebration just steps from the famous Times Square ball drop? Nothing! Come out and celebrate New Years Eve 2019 Fiesta-style at Chevy's! Mexico meets Manhattan here in this festive party for all ages! With tons of eating, drinking and Mexican festivities, your evening will be nothing short of epic. With your ticket, those 21 and over will have five hours of open bar, during which you can imbibe in Chevy's renowned margaritas, tequilas, Corona's and plenty more Mexican cocktails. Drink in hand, with your ticket; you will also enjoy a wide array of delectable delicacies from Quesadillas, Crispy Chicken Flautas, Chips & Salsa and of course, guac! Don't get too full to dance though. With a DJ playing all night, get your groove on to authentically Latin beats and the hits of 2018... right on into 2019! You'll dance your feet off until midnight while the ball drops just a half a block outside in Times Square. And of course, ring in the New Year with a champagne toast at midnight.